How did Bolivia’s ex-President end up a wanted man in his home country? Recently, Bolivia held presidential elections and in a surprise to no one, Evo Morales was reelected to his first second term as president after serving two consecutive first terms. Prior to his rise to power as the man of the Indigenous people, Bolivia had a very different type of leader in charge. Gonzalo Sanchez de Lozada or, as he is more commonly known, Goni is the son of an exiled Bolivian diplomat. He was raised and educated mostly in the US (a Chicago boy) and was the dominant face on the Bolivian political landscape for two decades. After resigning from office in 2003 after a coup attempt by Evo Morales, Goni fled the country and is allegedly living in the greater Washington DC area. He has been charged in Bolivia with crimes against humanity and the Bolivian government has on multiple occasions filed a formal extradition request to the US Department of State. Each request has been denied. The real crime that Goni is wanted for is privatization. Bolivia is a historically inept country, but also a country rich with natural resources. Half the world’s lithium resources lay in the salt flats of Bolivia as well as the largest natural gas reserves in South America after Venezuela. Unfortunately all those resources lay dormant due to inadequate extraction capacities and a non-existent infrastructure. The rebuttal is that if a country lacks the capacity to exploit its resources, ie trillions of dollars of lithium sitting in the salt flats, isn’t it better to at least get some money for the asset, rather than just have it sit there while the people starve? After all you can’t feed the masses with promises. Of course there is always the model of privatizing, then nationalizing, and then privatizing again when a better offer comes along. But you can only play that game so many times before they take away all the chairs. Where Goni failed though is not in his privatization plan, but his over-estimation of the general population’s ability to understand what he was doing. As he sold off assets and prices were no longer subsidized, all that people saw was a dramatic rise in the cost of living with little to show for it. He moved too quickly and without the popular support of the people. Thus twelve years after he fled the country, he is still being held up as a scapegoat for Bolivia’s shortcomings. 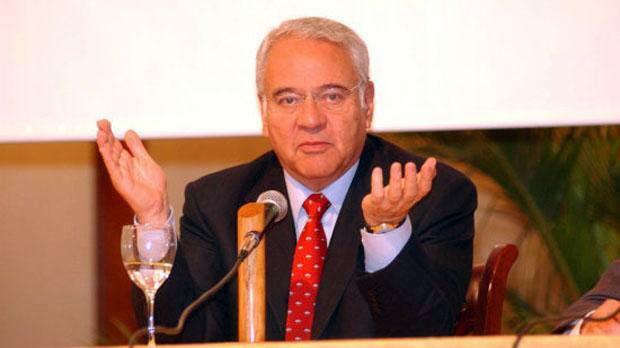 Sadly, Goni is not the only former Latin American president who finds himself in this situation. Too often, elected officials ride in on a wave of populist reform, only to find themselves bogged down in the harsh realities of political turmoil that prevents them from upholding their promises. In a mature democracy, people understand this and tolerate it. Unfortunately it is hard to say that democracies in Latin America are mature. Thus when presidents fail to keep their promises, change comes from the barrel of a gun not the election booth, and right or wrong, leaders find themselves seeking asylum in foreign countries. This entry was posted in Andean Region and tagged bolivia, goni, Gonzalo Sanchez de Lozada, Latin America blog, milton freedmon, morales, privitization. Bookmark the permalink.